10 Fast and Effective Ways To Get Your Husband Or Boyfriend’s Attention! we will be discussing today on 10 Fast and Effective Ways To Get Your Husband Or Boyfriend’s Attention! Have you noticed that your husband or boyfriend is paying less and less time with you and more time with work or his hobbies? It’s perfectly fine to feel a little insecure when he starts focusing on other things, but that doesn’t mean that he doesn’t love you. Usually, when a guy starts switching his attention away from the relationship to things like work or hobbies it is because he feels secure in his relationship. Most guys have the “if it’s not broken, then don’t fix it” attitude. Right now, he just feels that there is no issue that the relationship needs all of his attention. What you want to do is have a talk about ways that you can spend more time together or you can simply seek more of his attention out with subtle hints. The only thing is that you don’t want to sound demanding or clingy. When it comes to talking to your man, you will want to avoid sounding demanding. If you push him and there is nothing wrong, to him, in the relationship, he will start to get defensive. Don’t sound like you don’t trust him, or that you don’t appreciate him. If it is work that is getting in the way of you two men take their jobs very seriously. In fact, a job, to a man, defines who he is. If you begin to get all demanding he feel like you don’t appreciate all the work that he does, which he’ll say he does it for you. Most of the time, you will find that if the man is too evolved in work it is because he wants to better his position, better his life, and better the relationship too. However there are many ways that you can take control of the situation. When you do any of the following make sure that you think about how your boyfriend/husband will feel. You don’t any to alienate or seem demanding or clingy. 2) You may want to stop by the office just to say “Hi”. See him at the office every now and then when you can so that you can let him know that you still care. If you pop in the office and ask him out to lunch, he’ll love the fact that you have taken time out from your busy schedule to stop by. If you start wearing a pushup bra or show some cleavage, he’ll notice. If you dress in colors that he loves and start wearing more slinky, short dresses, he’ll definitely notice. This is one of the quickest ways to get his attention. When you aren’t there for him when he needs you, he’s going to start paying more attention to you so he can bring you back into his life more. 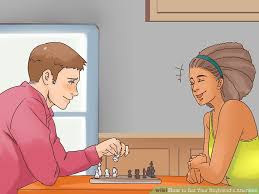 However, don’t be too unavailable because you may lose this game, however, if you begin to tease by making them wait to check your schedule for a date, he’ll get the picture. If you go in for a kiss and then change your mind, if you flirt more, he’ll become more attracted to you and you’ll have his attention a lot more. When you are confident and seem so happy and flirtatious, you are more likely to catch his attention. If you walk around sort of mellow and not really, into the morning, he’ll not pick up on you, however, if you begin to walk around like you own the place, well his attention will be caught because he’ll notice the change and he’ll be attracted by it. Confidence is a turn on. You will want to think about when you were in high school, or maybe in the beginning of the relationship, and you were so passionate in your kissing and foreplay. If you can bring that back, he’ll start coming home early and he’ll bring to spend more time with you. Many of the times when a man plunges himself in work it’s to avoid such topics. Just one day not mention it. In fact, back off for a while on the subject. If he brings up, you guys are ready for that step, but men don’t like to be hassled by topics that women seem to focus on. He’ll notice the change and either appreciates it and come back to focusing on you or he’ll initiate a talk. As soon as you say, “I think we should talk?” in a mature and serious tone, guys know it’s about the relationship and they will participate in a talk. This will allow him to know how you feel about him spending so much time away from you and he’ll tell you why, and this will help you set all the insecurities aside so that the passion can be brought back to the relationship.